Apply to win an all-inclusive three-day adventure in Milwaukee, Wisconsin, brought to you by Advocate Aurora Health! The Make it in Milwaukee adventure will be one to remember. Milwaukee is rolling out the red carpet for your journey May 28 – May 31, 2019. Get VIP access to the best of what the city has to offer with a curated community all-access pass to musical and art performances, exclusive culinary experiences, private meetings with city officials, and tours of Milwaukee’s small businesses, entrepreneurs and underground culture. 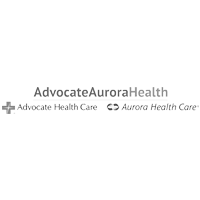 Enjoy a live band bruncheon with executives of Advocate Aurora Health, get private tours with executives of Advocate Aurora Health’s world-class facilities and programs, and interview for your dream job. All while having a life-changing adventure with new friends!